ILT offers ISO17025 accredited calibrations of all ILT Spectrometers / Spectroradiometers. 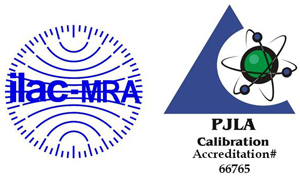 Light Meter Calibration certificates and software updates are provided with calibration. ILT Spectrometer calibrations cover the range of 200 - 1700 nm. Single-source calibrations cover 200 - 350 nm, 350 - 1050 nm and 1000 - 1700 nm. In many instances dual source (multi-step / multi-lamp) calibrations are required to cover the full working/application range. ILT calibrations are NIST traceable and ISO17025 accredited. Each Spectrometer calibration is unique to the exact configuration used during calibration. Any changes to optics including fibers, diffusers, lenses, filters, integrating spheres, etc., will impact the accuracy of the reading. ILT recommends every unique configuration have its own calibration. ILT spectrometer calibrations start off with a wavelength calibration verification. Shifts in wavelength are not common, but are in most cases corrected with calibration or repair. 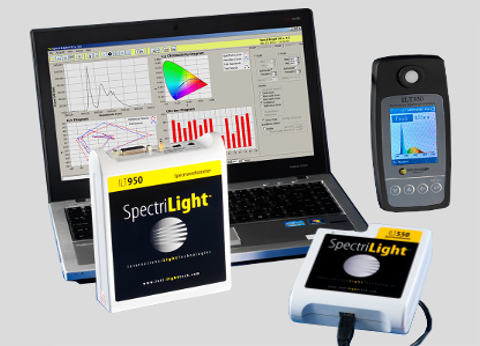 ILT offers spectral calibration for Total Flux (power/Watts/nm), Irradiance (W/m2/nm) and Radiance (W/cm2/sr/nm). Photometric calculations such as Lumens, Luminous Intensity (cd - with user programmable distance), PAR (umol/m2/s), Lux and cd/m2, as well as CCT, CRI, DUV are calculated based on the Radiometric calculations. The list below contains commonly calibrated ILT models. If you have questions for verification prior to shipment, email us at ilservice@intl-lighttech.com or contact us by phone at 978-818-6180 x118. To request an RMA, use the link to the RMA form at the top of the page, or click on the meter to fill out an RMA form.